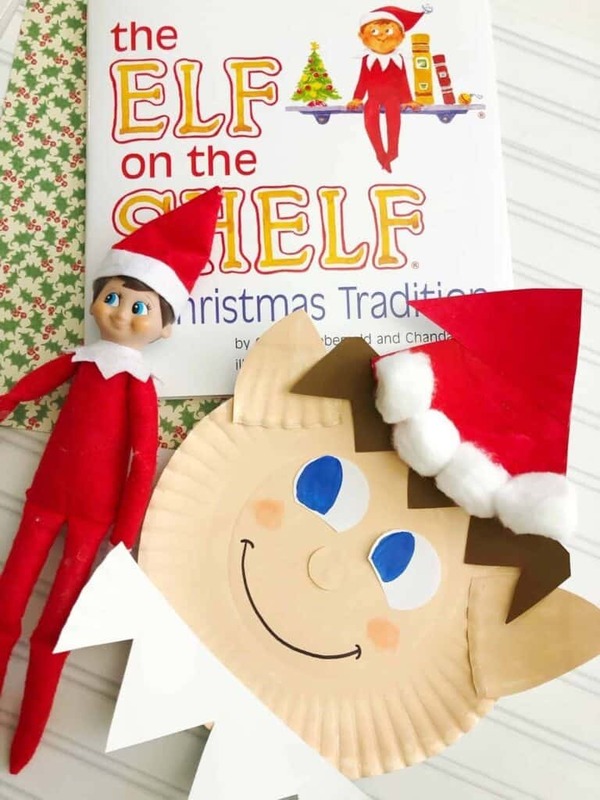 Check out this fun Elf on the Shelf Craft: Make your own Elf Plate. 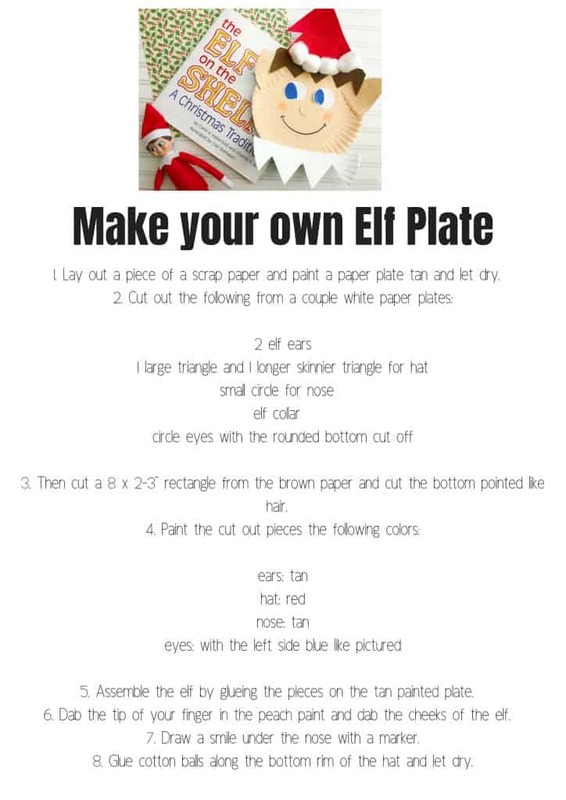 If your kids LOVE their Elf on the Shelf, then they will LOVE this super cute Make your own Elf Plate Craft. You have three fun options with this craft. 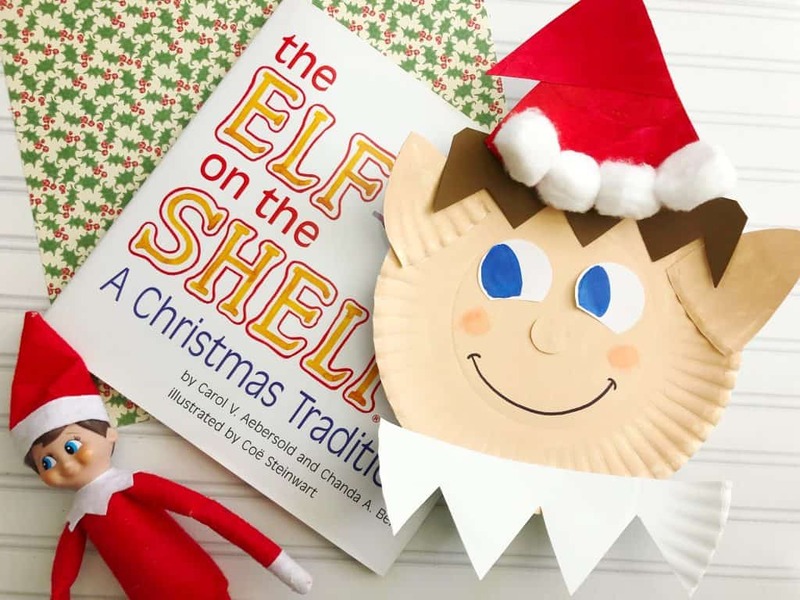 You can have everything pre-cut and ready and your Elf on the Shelf can leave the craft for your kids to make on their own, the Elf plate can already come made as a gift from their Elf on the Shelf, or this can just be a fun Elf on the Shelf Craft that you make with your kids. Any way you choose, your kids will love this craft. This would also be an easy craft for preschoolers or for a kids holiday party. 1. Lay out a piece of a scrap paper and paint a paper plate tan and let dry. 3. Then cut a 8 x 2-3” rectangle from the brown paper and cut the bottom pointed like hair. 5. Assemble the elf by glueing the pieces on the tan painted plate. 6. Dab the tip of your finger in the peach paint and dab the cheeks of the elf. 7. Draw a smile under the nose with a marker. 8. Glue cotton balls along the bottom rim of the hat and let dry.